I love lemons. They can brighten up the flavors in any recipe, both sweet and savory. From ice creams to salads, lemons can definitely shine. 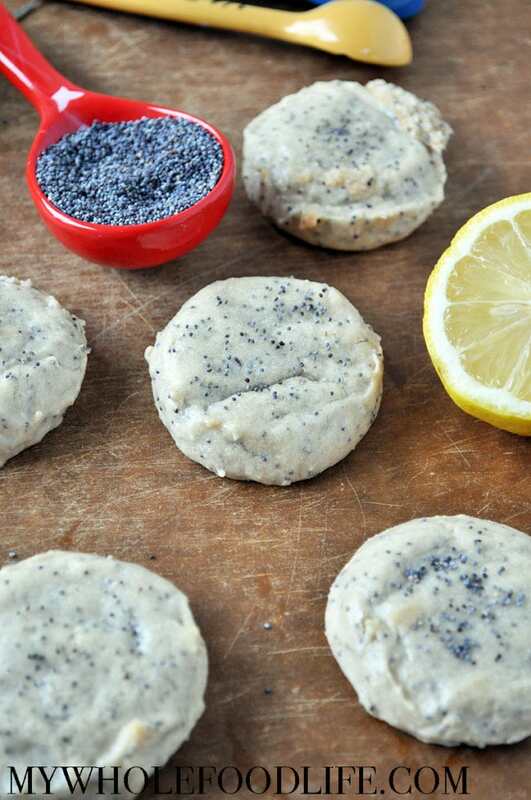 Lemon is truly the star in these Flourless Lemon Poppy Seed Cookies. They are bursting with lemony flavors that do not disappoint! I also highly recommend making my lemon blueberry cookies! It took me 2 tries to get this one right, but I am so glad I did! These healthy cookies are vegan, gluten free AND grain free! I wanted to eat the batter straight from the food processor. Okay, well maybe I did eat some of it haha! You can easily make your own cashew butter as well. I show you how in this video tutorial. The perfect lemon cookie with ZERO grains, gluten, refined sugar or dairy! Mix all ingredients, except for the poppy seeds, in a food processor . Then add the poppy seeds and pulse a few times to make sure they are mixed well. Using a cookie scoop , spoon batter onto a lined baking sheet . Let cool completely before removing from the baking sheet. The cookies may crumble if still warm. These cookies should keep in the fridge for at least 2 weeks. You can also freeze them for longer storage. Enjoy!! I made these last night, YUMMY! The only thing I would do differently is actually press them down with a fork like you do on old fashioned peanut butter cookies. Thanks for sharing the recipe! So glad you liked them Terri! How big are the cookies? My Dad used to make lemon poppy seed muffins when we were little - but I've never seen them in cookie form! Can I use almond butter instead? I can, but the peanut butter flavor will be too overwhelming. I've been making sunflower butter. I think that it would work as well. Can't wait to try them.